They’re two of the most beautiful words in the English language, and they happen to coincide: October and opal. Okay, maybe that’s just my opinion—but I’m certain that it’s an opinion many of you share with me. We talk about/obsess overshare our love for opal all year long, but this month is a really special time to do so. 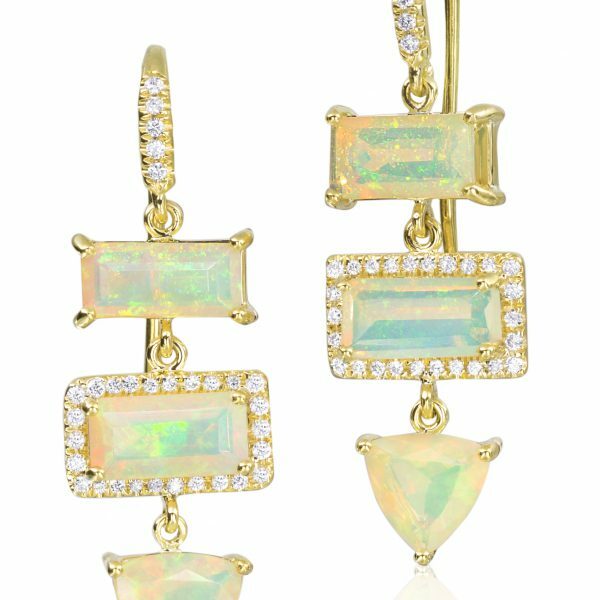 Forget pumpkin season: It’s opal season (okay, you can have both). And, not that you have to be an October baby to lay claim to this glorious stone, but if you did, well, my wedding was held in October—the birth of a marriage—so that counts, right? Here are some of the latest I—and every other opal-obsessor out there—want to collect, immediately. Bracelet in 14k yellow gold and oxidized silver with 28.7 ct. opal, 11.66 cts. t.w. black rose-cut diamonds, 4.14 cts. t.w. black diamonds, and 2.41 cts. t.w. white diamonds, price on request; ZDNY & Co.